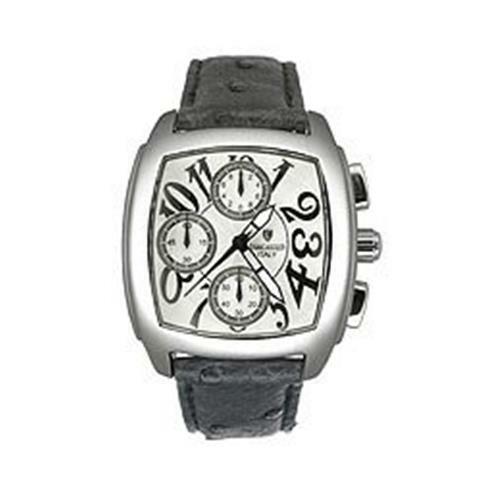 This stainless steel timepiece has a smooth black silicone rubber strap. The unique strap includes stainless steel links . The chronograph function gives a sporty look and increased functionality.